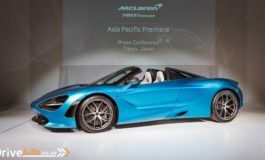 McLaren Automotive has already revealed that one of the key strategies of its TRACK 22 business plan is the development of a Pure Electric Vehicle (or EV) to one day sit in its Ultimate Series. Meanwhile a Pure EV based on today’s McLaren P1™ is now available but only to a limited group of potential customers … those under the age of six. At least that’s the official guidance. 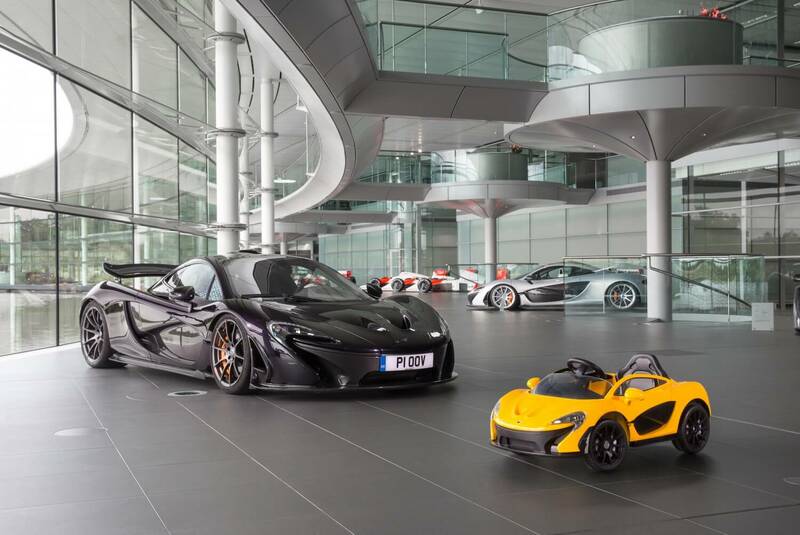 The diminutive McLaren P1™ differs from its larger brother in two important areas. Firstly, it has a central driving position, just like the iconic McLaren F1. Then secondly, the young will be able to experience what adults never could: an open-top McLaren P1™. Yet cleverly the design still retains McLaren’s signature dihedral doors. And like every McLaren, its acceleration is startling. The zero to maximum speed dash takes just two seconds. 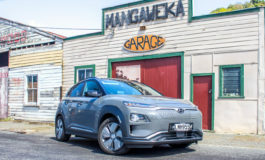 The car surges into life via a one-button stop/start function automatically activating the lights and ‘air-conditioning’ unit. An MP3 player and audio system is standard and helpfully already pre-programmed with every popular nursery rhyme. 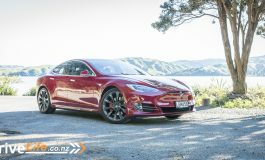 It also features a reverse gear in addition to its three speed, forward transmission. Handy if you’ve arrived at the wrong playground. 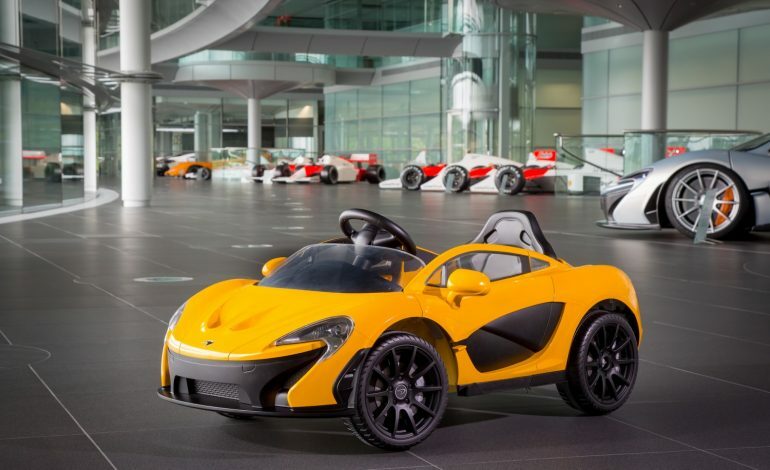 In a contrast to McLaren’s usual policy of offering limitless colour and trim combinations, this time the choice for the busy six year old is made easy with only one colour on offer: Volcano Yellow. 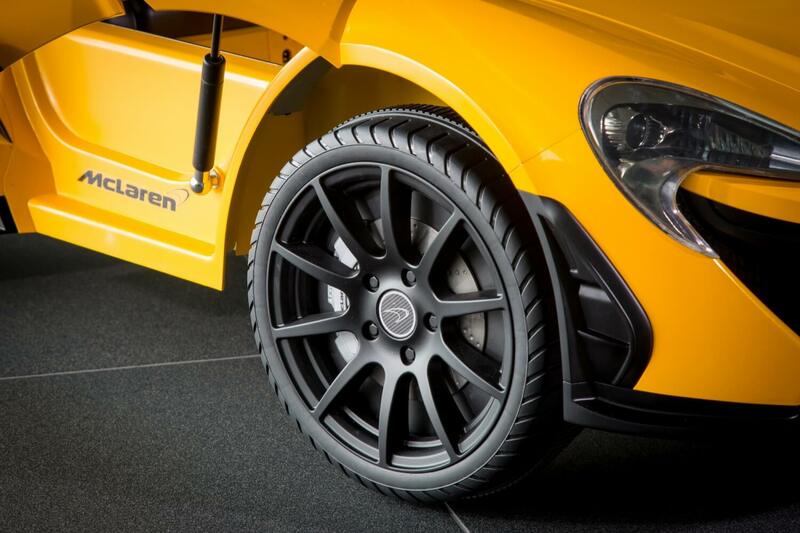 The Ride On, electric McLaren P1TM is the first officially licensed product from McLaren Automotive to enter this growing market segment and is the most compact car yet to wear the McLaren badge. Hence customers ideally should be between three and six years old to drive it. Although young drivers beyond this age group might also fit. It will be available from the end of October first from selected McLaren Automotive retailers around the world priced at £375.00, followed by recognised global toy retailers.